How did Hatton and Harding come about? When did your shop open? 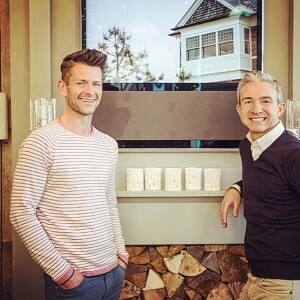 We had sold our property with all its contents and realised how difficult it was to find unique or bespoke products locally. There was a definite gap in the market and with strong retail operations and customer service backgrounds we took the plunge and opened Hatton & Harding in November 2010. How would you describe Hatton and Harding’s interior style? A combination of grit & glamour. We love the combination of the new & pristine with old and raw. We edge towards a more timeless, classic feel and genuinely love what we buy. We certainly don’t follow trends if it’s not something we would have at home. Where do you gather ideas and inspiration? Obviously things like Pinterest and Instagram are great but we are mainly inspired by travelling and in particular, our favourite hotels. We love all of the Soho House properties and the way they synchronise their signature style while also making each one individual and relevant to its building and location. Their overall look of understated and effortless elegance is stunning and we just love spaces that you just want to kick of your shoes and relax. We’re spending lots of time at Soho Farmhouse at the moment where they’ve recently launched Soho Home, an interiors boutique offering pretty much everything in your guest room. Your re-loved service is a great idea! Which is your favourite flea market in Europe that you love to visit? We’re very lucky to have made some great contacts across Europe since we’ve opened and so we tend to stay closer to home now. If we’re looking for something special we’ll send our contacts an email and they’ll do a search for us. We’ll then meet up with them when they visit one of the U.K. fairs. We particularly like the Lincoln shows and it’s great fun spending a day looking for treasures. What can you not live without in your own home? A triple pinch!!!! All our curtains, even those hidden behind pelmets are topped this way, the curtains then just naturally hang beautifully. It’s always a favourite for our clients too. You offer a home styling advice service. Do you have one top tip you can share that you think everyone should remember when planning a restyle of their home? All the inspiration available is great but it’s also someone else’s style. To create your own individual interior with integrity and longevity you really need to think about exactly how you use the specific space. Do you enjoy reading interiors books? If so, which is your favourite right now? Definitely! 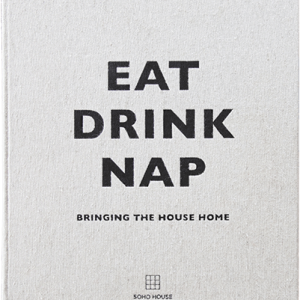 Our favourite at the moment is ‘Eat, Drink, Nap’ from Soho House. It’s a lifestyle read that tells you everything from where the Berlin lobby chandelier was found (a ballroom in Florida!!!) to how to make the perfect bed and some top house tips on how to create beautiful & effortless interiors. Which item in your shop do you think everyone should own? A H&H bespoke ‘Babington’ or ‘Barnsley’ armchair. We do a full bespoke upholstered furniture service enabling us to create something of the perfect style and dimensions for every client and the fabric choices are almost endless. 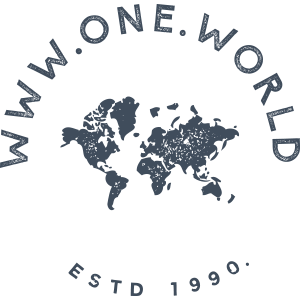 Which is your favourite One World product you currently stock? 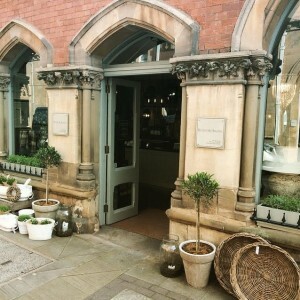 The Grantham stoneware collection. 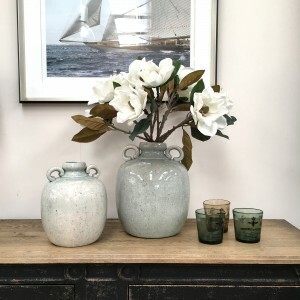 We love the beautiful muted tones and strong statement ceramics work well in most rooms.